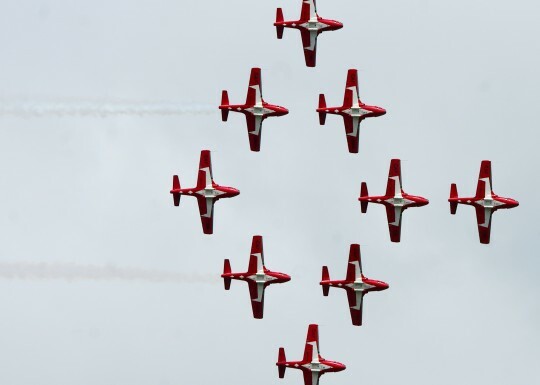 The Windsor International Airshow takes flight over the skies of South Windsor this weekend! More than 50 aircraft ground displays from the smallest to the largest aircraft, fighters, warbirds and our own local aircraft. Vintage cars and lovingly restored military vehicles and more will be on display all weekend from the Canadian Transportation Museum. Gates open at the Windsor International Airport both Saturday and Sunday at 9:30 am and close at 4:30 pm. There will be no entry or re-entry after 3:30 pm. Showtime is 11:45 am both days and will run until approximately 3:30 pm.